You have worked all day, commuted home, made dinner, did some cleaning up around the house, and you feel exhausted. Chances are you probably then hang out on the couch, watch some TV, or scroll through social media on your phone until bed. When you repeat this routine every day of the week, it can feel like all you have done is work and did nothing for yourself. The reality is that there is usually an hour or two left in your day before bed that you could be using more efficiently. So how do you make the most out of those one to two hours? While some nights you can spend on the couch watching your favorite shows, others could be spent doing other things you enjoy. 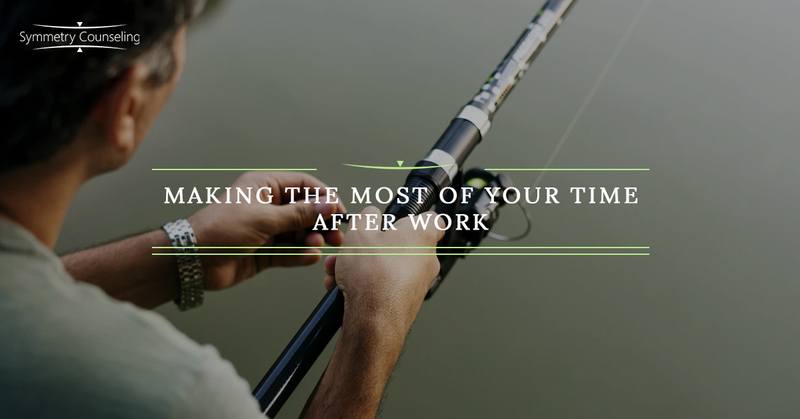 Below are a few ways you can make the most out of your time after work to have a more productive and positive week. While having a healthy routine has many benefits, going home and doing the same thing every night can feel monotonous. Rather than waiting until you get home to decide what you want to do with your night, it can be useful to plan ahead. Some examples of things you can plan include scheduling dinner with a friend on Monday, taking the dog to the park after work on Wednesday, going to a yoga class on Thursday, or planning a date on Friday. Having these events planned at the beginning of your week will give you things to look forward to even if you are feeling drained after work. Staying in and watching TV is not a bad thing, but it is something that may not fill you up as much as other things can. For example, going to the gym will release endorphins that improve your mood, going out with friends and socializing makes you feel included, and spending time with your significant other will make you feel loved. There are so many different forms of self-care that can be used to fill you up so it is important to be intentional and do things that make you happy. It can be useful to create a list of what things make you feel good and make them a priority throughout your week. In order to make the most of your free time, you have to manage it properly. Some ways to improve on your time management include packing your gym bag the night before, choosing a restaurant close to work or home, making a grocery list, or getting the supplies you need for a craft ahead of time. Thinking ahead and preparing for your activities help them go more smoothly when the day comes. Using your free time more wisely will make doing the things you enjoy feel less like a chore or inconvenience. If you are finding it difficult to make time for yourself each day and would like some support, it may be useful to connect with a therapist. Contact Symmetry Counseling at 312-578-9990 to set up an appointment with one of our very skilled therapists today!